Beautiful light and dark blue striped agate pendant with white, transparent and blue tones, sterling silver and sterling silver necklace. 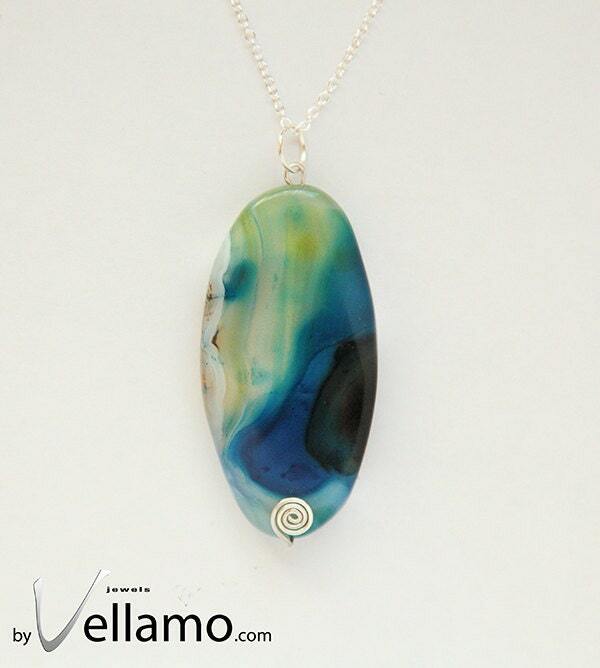 The pendant stone is 50mm x 25mm large and the total length of the pendant is 60mm. I ship with first class international air mail within 2 working days of receiving the order.